In May 1943, the famous British actor, producer, and director Leslie Howard conducted a monthlong “entertainer goodwill” tour ostensibly promoting in Spain and Portugal a movie he had produced, The Lamp Still Burns. Upon completing the tour, Howard and his friend and business manager Alfred T. Chenhalls, now in Lisbon, Portugal, were anxious to return to England. Utilizing their VIP status, they were able to bump two passengers from the next outgoing flight. Initially Howard refused to go, citing security concerns. It took the intervention of Foreign Minister Anthony Eden to convince Howard to make what would turn out to be a fatal trip. Leslie Howard Steiner debuted on the London stage in 1917. By 1930, the now-famous actor had moved to Hollywood. Though he appeared in a variety of major productions, receiving an Academy Award® nomination for his role as Peter Standish in Berkley Square (1933), he is most famous for his portrayal of Ashley Wilkes in Gone with the Wind that debuted on Dec. 15, 1939. Howard was the only major star from that movie not to attend its premier in Atlanta, Ga. He had good reason: the war. What the public didn’t know, though the Nazis did, was that Howard also worked for British Intelligence. In fact, Howard’s tour to promote The Lamp Still Burns in neutral Spain and Portugal was a cover for his participation in the Foreign Office’s effort to keep Spain and Portugal neutral, guarantee the uninterrupted flow of the strategic metal wolfram (at the time the Iberian peninsula produced 90 percent of the world’s supply), and obtain military base rights to Portugal’s Azores Islands. Coincidentally, Churchill’s return flight to England was also originally scheduled for June 1. And, because Chenhalls resembled the prime minister, it was widely speculated that the attack on Flight 777-A was an attempt to assassinate Churchill. Most experts now believe that Howard was the intended target, a point Howard’s son, Ronald, explains at length in his book In Search of My Father. Both sides had elaborate intelligence networks on the Iberian Peninsula. Howard’s tour coincided with Prime Minister Winston Churchill’s post-Trident Conference trip to North Africa, which received extensive coverage by the press. Coincidentally, Churchill’s return flight to England was also originally scheduled for June 1. And, because Chenhalls resembled the prime minister, it was widely speculated that the attack on Flight 777-A was an attempt to assassinate Churchill. Most experts now believe that Howard was the intended target, a point Howard’s son, Ronald, explains at length in his book In Search of My Father. Regardless, what is not disputed is that the Germans knew Flight 777-A’s flight path. 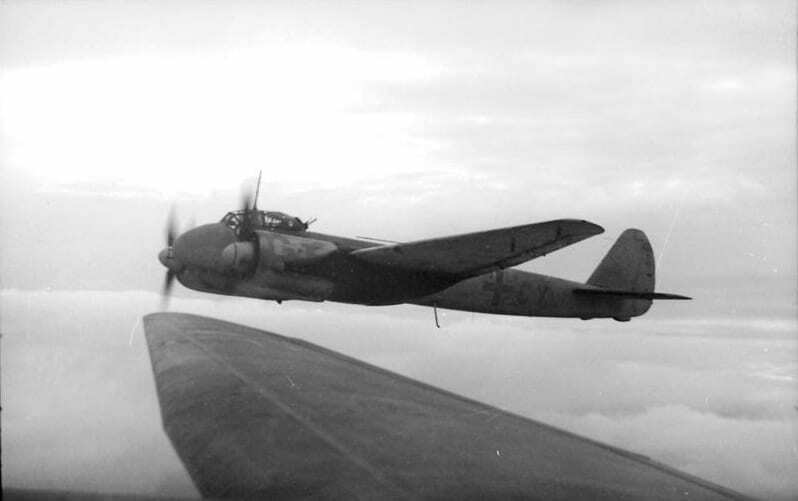 Not one or two, but eight Ju-88C, twin-engine long-range heavy “Zerstorers,” intercepted the civilian airliner at a location in the Bay of Biscay that was well outside the range of their normal search patrols. Controversy immediately surrounded the attack. The Luftwaffe pilots involved gave accounts they later substantially changed. There were charges that British Intelligence through Ultra knew of the German plan to shoot down Flight 777-A, but withheld the information to protect Ultra’s secret. Some accounts go so far as to claim that Howard knew this information, but deliberately sacrificed himself. Additionally, rumors exist about important documents pertaining to the flight that are classified until 2025. More spectacularly, records relating to Howard’s estate (and that may or may not relate to the attack or Howard’s intelligence role) that were supposed to have been declassified in 1980 were reclassified and will remain closed until Jan. 1, 2056. Heil (German POW): Were they armed? Dock (Luftwaffe crew member): No. Heil: Why did you shoot them down? Dock: Of course it did. Heil: And did any of them get out? Dock: No. They were all dead. Those fools don’t try to make a forced landing, even if they can see that it’s all up with them. A documentary about the incident, Leslie Howard: The Man Who Gave a Damn, is the work. Its narrator is Derek Partridge who, on June 1, 1943, was an eight-year-old son of a British diplomat, one of the two people bumped from Flight 777 (the other being his nanny) to make room for VIPs Leslie Howard and Alfred Chenhalls. A BBC news clip about the upcoming documentary and featuring Partridge recalling that day can be seen on YouTube at: http://www.youtube.com/watch?v=9HRiDKqq1xw.